I have a lot to accomplish this week, and very little time to make it happen. But I want to take hold of this week and make it count. I want it to count in the big things and the small things. And the only way that can happen is if I challenge and improve myself in the areas I struggle in most. I want this week to improve for me. I need to make some improvements to the way that I think about things and do things. Last week on Mug-spiration Monday, I challenged myself (along with you) to avoid complaining- to spend the whole day only saying positive things. But 30 minutes later while I was driving to work, I realized that I was complaining to my mom as we talked on the phone. 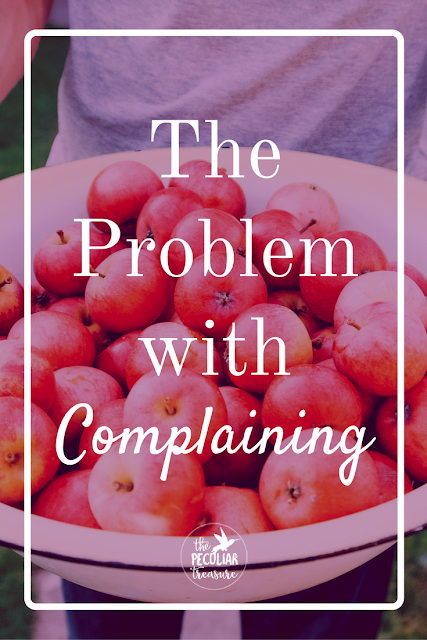 I was so frustrated with myself because I hate the thought of being a complainer. It makes me cringe- and yet I hear my brain conjuring up excuses as I type: "But you had a reason to be mad", "But you were just venting", "Your mom won't tell anyone what you said, so it doesn't matter". While those excuses may seem valid, I was still complaining. I really have had a terrible time with my body feeling sick off-and-on throughout the past month, but I am still so very blessed. It's ok to say that I feel gross, but it is another thing to complain about every little thing that's bugging me just because I feel sick and am grumpy. That doesn't help me, and it certainly doesn't encourage anyone else. And it's okay to vent occasionally too. But venting can be accomplished without spewing every little negative thing in my mind out into the open. I mean, come on! 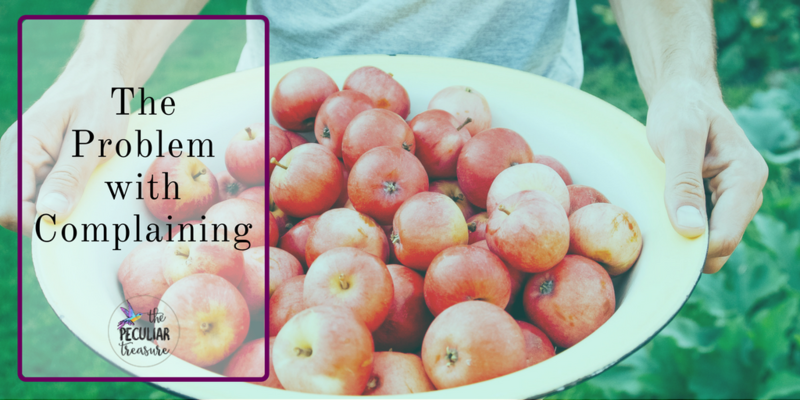 What do I gain from dredging up every little negative thing that happened throughout the week? Nothing. Actually, it harms me. It puts me in a bad mindset, it causes me to focus on the wrong things, and it keeps me from moving forward into better circumstances. I want my lifestyle to reflect what I write about. I don't want to ever say, "You guys need to do this" if I myself am not practicing the same thing. So I am re-challenging myself. No matter how tired or icky I feel today, I am going to be thankful, positive, and kind (in my words, my actions, and in my head). If you, like me, found not complaining to be easier-said-than-done, would you try again with me? We need it! I've been on a life-long anti-complaining campaign. :) If anyone ever gets me started on the topic, I will happily explain why I wholeheartedly believe that minimizing unnecessary complaining makes for a very good way to live. Remain encouraged in your pursuit of less complaining, it's worth it! I whole-heartedly agree, Rachel! I believe that too! It's just really hit me recently how I've fallen into that trap! Onward and upward for God's glory! Amen! There is so much to be joyful about we have little excuse to complain. Thank you for sharing!